Comm Eye Health Vol. 19 No. 60 2006 pp 57-59. Published online 01 December 2006. Editor, Community Eye Health Journal, ICEH, London School of Hygiene and Tropical Medicine, Keppel Street, London WC1E 7HT, UK. The idea for this theme was germinated by a member of the editorial committee who pointed out that “We know quite a lot about how to deliver cataract services, but not as much about how to deliver the patients”. In this issue, Tan cites a dramatic illustration from China showing the imbalance between the provision and use of cataract services; a fully equipped department, with advanced technology and 24 ophthalmologists, performed less than 100 cataract operations in a year. Of course, this concern is not new. Six years ago the CEHJ included an article on reducing barriers to cataract surgery.1 More recently, Muhit2 directed the spotlight on barriers to treatment for childhood cataract. Much of what was covered in issue 58 (2006), Outreach: linking people with eye care, is also relevant here. Furthermore, the eye health literature continues to include reports from different parts of the world based on studies to assess the barriers to uptake of cataract services. Promoting the use of cataract services requires a balance between supply and demand (Figure 1, overleaf). In this issue, we focus on the use, rather than the supply of services. Standing3 identifies two components of ‘demand side’ concerns: “One is understanding health seeking behaviours and patterns of utilisation with a view to either changing them or catering better to them. The other is to find ways of harnessing the demand side in pressing for change and improving the responsiveness of the supply side”. While the first component is well recognised, the eye health community has paid less attention to the second component, which encompasses ideas expressed in the 2004 World Development Report4 on improving service delivery to poor people. The notion of accountability is linked to the notion of empowerment and capturing consumers’ voices. Successfully achieving this means building the confidence, trust and motivation for patients to deliver themselves to services, and for communities to play a role in shaping those services to meet their needs. There are three main questions related to use of health services. Are they accessible? The answer lies in geographical location, transportation availability, and organisational factors such as timing of services. Are they affordable? We need to look at the direct costs of fees, the indirect costs of transport, food and lost earnings, and the impacts of these costs on household livelihoods. Finally, are the services acceptable to patients and their families? Trust in the quality of clinical care, the cultural acceptability of how services are delivered, interpersonal communication and the dignity afforded to patients, are relevant here. The challenges particular to cataract services are addressed in the articles in this issue. Lewallen and Courtright consider the special problems faced by women. Gender-based disadvantage means that women not only are disproportionately affected by cataract, but they also have less access to information, greater barriers to travelling to services, and also greater resignation to the fate of blindness, as confinement to domestic roles makes women’s disability less apparent than the loss of mobility experienced by men. The article describes a ‘bridging strategy’ to bring female patients closer to providers both geographically (through outreach and transportation) and culturally (through appropriate counselling and involvement with social networks). It is important to place affordability of cataract services within the wider issue of affordability of health care. There is a substantial body of evidence on the catastrophic impact of illness arising from lost income and from the out-of-pocket expenses of accessing health care. Xu et al.3 define spending on health as being catastrophic if a household’s financial contributions to the health system exceed 40 per cent of the income remaining after subsistence needs have been met. If households suffer impoverishing financial shocks as a result of serious and acute health conditions, it is not surprising that an event considered part of natural ageing, and without life-threatening consequences, receives low priority in household spending. Cataract treatment should be affordable to households and based on ability to pay. A number of programmes have grappled with the issue of affordability and have devised creative strategies and formulae (see useful resources on page 72). The case study from China in this issue demonstrates the “serious imbalance between hospital charges for cataract surgery and patients ability to pay”. Village-level investigations revealed that people would be willing to pay for a cataract operation if it cost at the most 25 per cent of their annual income; in China a cataract operation can cost as much as one year’s income. 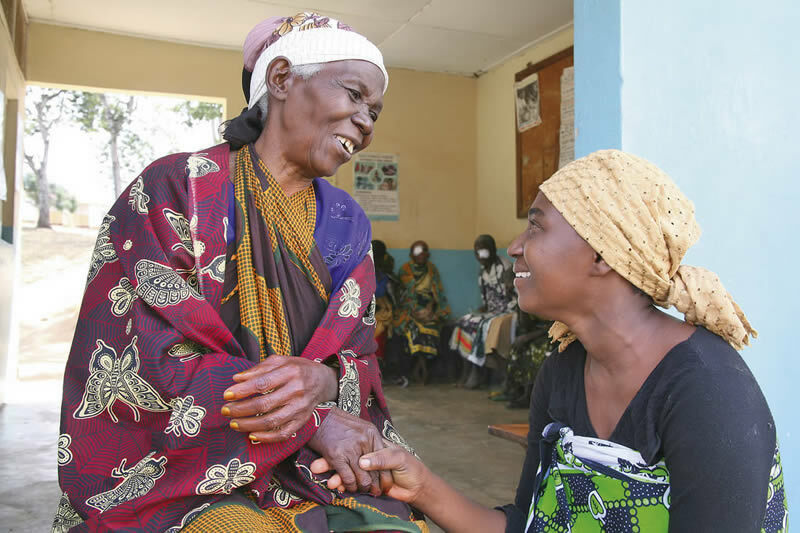 By bringing services closer to people, establishing communication and referral networks, and introducing a multi-tier pricing system for people of different income levels, it was possible to increase the volume of cataract operations as well as the hospitals net income. Acceptability relates to how comfortable patients feel about using the services, and raises the issue of cultural distance between providers and beneficiaries. It is widely accepted that persuading people to take up services is often best done by those close to the community. Such individuals have been given a range of titles such as aphaikic motivators, cataract case finders, etc. The case study from Nigeria describes expanding the role of Community Based Distributors of Ivermectin. The Mexican case study shows how demand for eye care was stimulated by community workers who integrated eye care with their other roles, and were able to provide a service which people value, i.e., presbyopic spectacles. The case study from Cambodia describes how outreach services can help to reduce the gap between people and medical services, but also cautions that this depends on good counselling, and might still not be enough for people to make the step from being identified as needing cataract services, to actually going for the operation. For many patients, the strangeness of hospitals and experiences of less than courteous or sensitive treatment by medical personnel, may make them reluctant to subject themselves to the ordeal of cataract surgery. This raises supply-side issues. How culturally acceptable is the hospital environment? Are the needs of women addressed, for example, through separate seating areas, separate wards for women, availability of female counsellors, and private washing and toilet facilities? Is everything being done to ensure the dignity of patients? Trust is closely related to acceptability. Trust in services accumulates through experience, reputation accrued through a history of good surgical outcomes, and the testimony of satisfied patients. However, as noted in some of these articles, trust can also be undermined by a perception that the services offered by outside agencies is better. Tan refers to the “tidal wave of problems” that can follow when well-intentioned one-off programmes offer free services. Cains and Sophal describe how a prevailing attitude of mistrust of locally trained surgeons is compounded when a foreign surgical team arrives, provides free surgery and undermines the trust being gradually built up by the local eye doctors. Ogoshi also refers to the problems that arise from free eye camps threatening the sustainability of permanent eye hospital services. Addressing the barriers to uptake of surgery is crucial, but still may not be enough. People need to be motivated to act. Motives or reasons for changing behaviour or spending money and energy on acquiring something, are described in marketing terms as ‘consumer drives’. This concept captures the notion of internal tension between the desired ideal state (sightedness for oneself or a family member) and the actual state (diminishing or lost sight). This arouses motivation, propelling the individual and ‘close ones’ to seek solutions. The information that cataract is curable might not arouse sufficient drive to take up the services. However, the value placed on sight throughout the life span might provide the motivation to act. Every context is different, and this is why qualitative methods are becoming more widely valued as a way to understand the mindset and motivations of users. The value of involving satisfied patients is well recognised. Perhaps there is also a role to be played by the less satisfied patients. This is potentially sensitive, but in-depth understanding of their experiences, and reasons for dissatisfaction, might provide insights to help providers make services more responsive to patients. It is interesting to note in the article by Kuper et al. that the Rapid Assessement of Avoidable Blindness (RAAB) methodology includes a question to those who have undergone cataract surgery, to find out details of their operation, including satisfaction. Much has been written about increasing uptake of cataract services. In this issue of the CEHJ, we present recent experiences and case studies on increasing the use and demand for cataract services amongst specific groups (women) and populations in China, Mexico, Nigeria and Cambodia. 1 Lewallen S and Courtright P. Recognising and reducing barriers to cataract surgery. Comm Eye Health J 2000;13(34): 20-21. 2 Muhit M. Childhood cataract: home to hospital. Comm Eye Health J 2004;17(50): 19-22. 3 Standing H. Understanding the ‘demand side’ in service delivery: definitions, frameworks and tools from the health sector. DFID Health Systems Resource Centre Issues Paper, March 2004. www.dfidhealthrc.org/publications/health_service_delivery/Standing.pdf (accessed Nov 2006). 4 The World Bank. World Development Report 2004: Making services work for poor people. http://publications.worldbank.org/ecommerce/ (accessed Nov 2006). 5 Xu K, Evans DB, Kawabata K, Zeramdini R, Klavus J, Murray CJ. Household catastrophic health expenditure: a multicountry analysis. Lancet 2003 Jul 12;362(9378): 111-7.